Westhofen, Wilhelm. The Centenary Edition of Wilhelm Westhofen's The Forth Bridge. Photo available. Edinburgh. Moubray House Publishing. 1989. 71 pps. + plates. Folio. Gilt decorated hard cover. First edition. Illustrated. Important reference work. Limited edition, number 638 of 2500 copies. Fine copy. Westoff, Charles. The Third Child. A Study in the Prediction of Fertility. Princeton. Princeton University Press. 1963. Octavo. Hard cover. First edition. Fine copy in near fine (light shelf wear) dust jacket (in mylar). Weyer, Edward M. (ed). Strangest Creatures on Earth. New York. Sheridan House. 1953. 255 pps. Octavo. Hardcover. First edition. Illustrated. Fine copy. Book plate. Weyler, Rex. Greenpeace. Inscribed by the author. How a Group of Ecologists, Journalists and Visionaries Changed the World. Photo available. Vancouver. Raincoast Books. 2004. 623 pps. Octavo. Hardcover. First edition. Full number line. Illustrated. Important reference work. 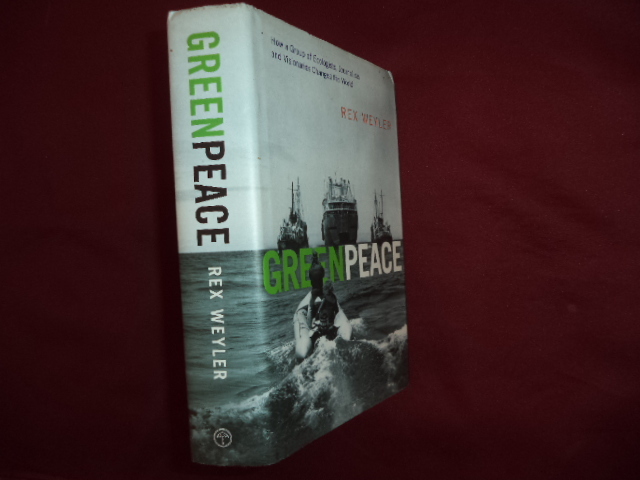 Inscribed by the author "To Michael Bailey who helped makt this story happen - R Weyler 2005". Fine copy in fine dust jacket (in mylar). Wheeler, Alwyne. Fishes of the World. An Illustrated Dictionary. New York. MacMillan. 1975. 366 pps. 4to. Hardcover. First edition. Illustrated in color and black & white. Fine copy in near fine (small, taped tear on rear cover) dust jacket (in mylar). Wheeler, Alwyne. Fishes of the World. An Illustrated Dictionary. Photo available. New York. Macmillan. 1975. 4to. Hardcover. First American edition. Illustrated in black, white and color. Important reference work. Fine copy in fine dust jacket (in mylar). Wheeler, Tony. 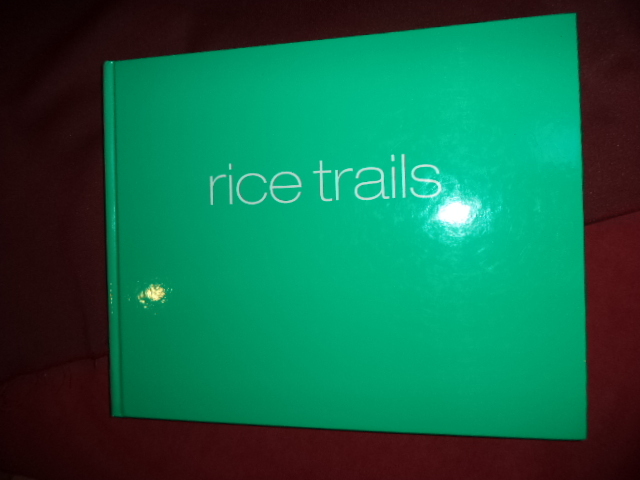 Rice Trails. A Journey Through the Ricelands of Asia & Australia. Photo available. St. Footscray. Lonely Planet. 2004. 160 pps. 4to. Hardcover. First edition. Illustrated in black, white and color. Important reference work. Fine copy. White, Florence. Linus Pauling. Scientist and Crusader. New York. Walker and Company. 1979. 90 pps. Octavo. Hard cover. First edition. Illustrated. Fine copy in near fine dust jacket (in mylar). White, K.D. 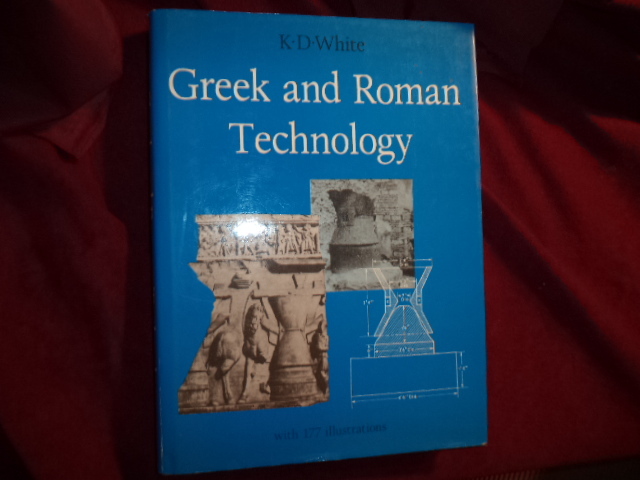 Greek and Roman Technology. Photo available. Ithaca. Cornell University Press. 1984. 4to. Hardcover. First edition. Illustrated. Fine copy in fine dust jacket (in mylar). White, Paul. Clues in the Diagnosis and Treatment of Heart Disease. Springfield. Charles C. Thomas. 1956. Octavo. Hard cover. Second edition. Illustrated. Fine copy. Whitehead, Don. The Dow Story. The History of The Dow Chemical Company. Photo available. New York. McGraw-Hill. 1968. 298 pps. Octavo. Hardcover. Stated first edition. Illustrated. Important reference work. Fine copy in fine dust jacket (in mylar). Whitfield, Philip. From So Simple a Beginning. The Book of Evolution. New York. Macmillan. 1993. 4to. Hard cover. First edition. Illustrated in black, white and color. Fine copy in fine dust jacket (in mylar). Whitfield, Philip. The Hunters. A ... Book About Predators- The Anatomy, Architecture and Behavior of Animals That Kill... New York. Simon and Schuster. 1978. 160 pps. Octavo. Hardcover. First edition. Fine copy in fine dust jacket (in mylar). Whiting, Jeffrey. 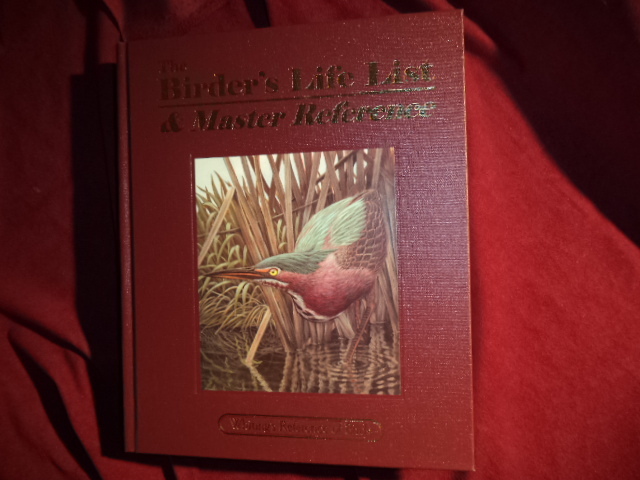 The Birder's Life List & Master Reference. Whiting's Reference of Birds. Photo available. Ottawa. Lee Valley Tools. 1999. 541 pps. 4to. Gilt decorated hard cover. First edition. Illustrated. Important reference work. Fine copy (no entries). Whitney, Leon. The Distemper Complex. The History, Symptoms, Diagnosis, Pathology and Treatment... Hong Kong. British Crown Colony. 1964. Octavo. Decorated hard cover. First edition. Illustrated. Bibliography. Near fine copy (very light shelf wear). Wickson, E.J. California Garden-Flowers, Shrubs, Trees and Vines. Being Mainly Suggestions for Working Amateurs. Photo available. San Francisco. Pacific Rural Press. 1915. Octavo. Decorated hard cover. Illustrated. Fine copy. Widner, Ralph R. (ed). 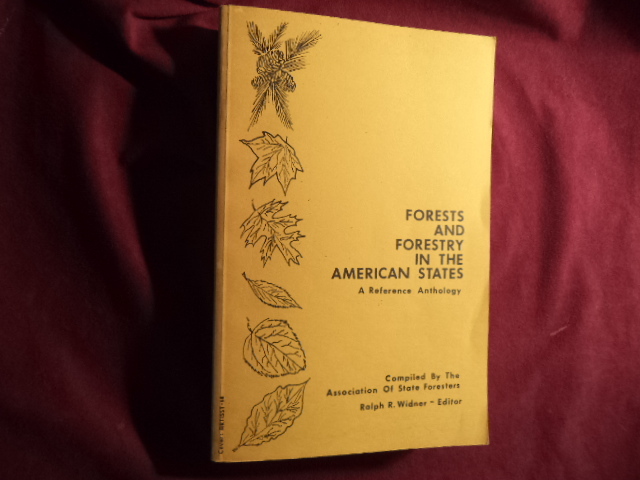 Forest and Forestry in the American States. A Reference Anthology. Photo available. np. The National Association of State Foresters. 1968. 594 pps. Octavo. Soft cover. First edition. Illustrated. Important reference work. Addendum laid in. Fine copy. Wilbur, C. Keith. 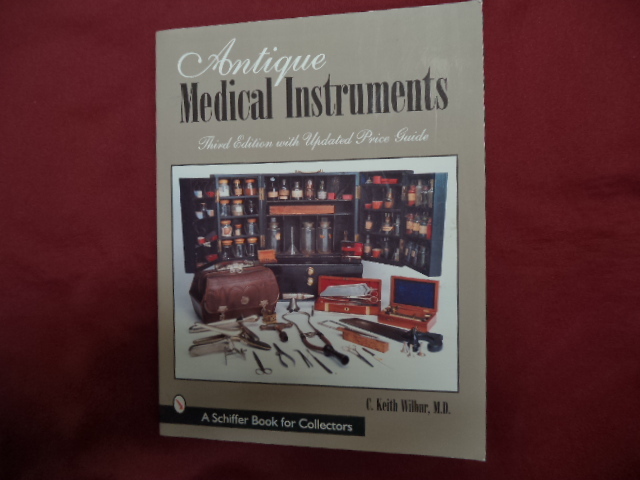 Antique Medical Instruments. Price Guide Included. Photo available. West Chester. Schiffer Pub. 1987. 149 pps. 4to. Soft cover. Third, updated edition. Illustrated. Important reference work. Fine copy. Wilbur, C. Keith. Antique Medical Instruments. Price Guide Included. Photo available. West Chester. Schiffer Pub. 1987. 149 pps. 4to. Soft cover. First edition. Illustrated. Important reference work. Fine copy. Wilcox, Benson. Surgical Anatomy of the Heart. Photo available. New York. Raven. 1985. 4to. Decorated hard cover. First edition. Illustrated in black, white and color. Fine copy. Wilford, John Noble. The Riddle of the Dinosaur. New York. Alfred A. Knopf. 1986. Octavo. Hard cover. First edition. Illustrated in black, white and color. Fine copy in fine dust jacket (in mylar). Wilis, J.H. 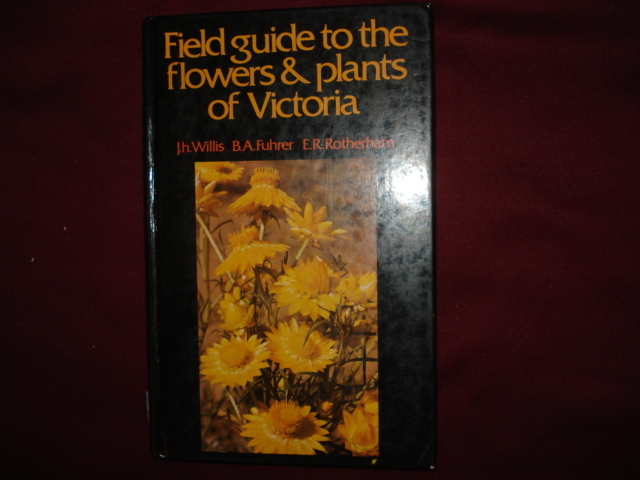 Field Guide to the Flowers & Plants of Victoria. Photo available. Sydney. A.H. & A.W. Reed. 1975. Octavo. Decorated hard cover. First edition. Illustrated in black, white and color. Fine copy. Wilkins, Robert H. M.D. et al. Neurosurgical Classics. Photo available. New York. Johnson Reprint Corp. 1965. Octavo. Hardcover. First edition. Illustrated. Fine copy in lightly edge worn dust jacket (in mylar). Willey, Gordon & Jeremy Sabloff. 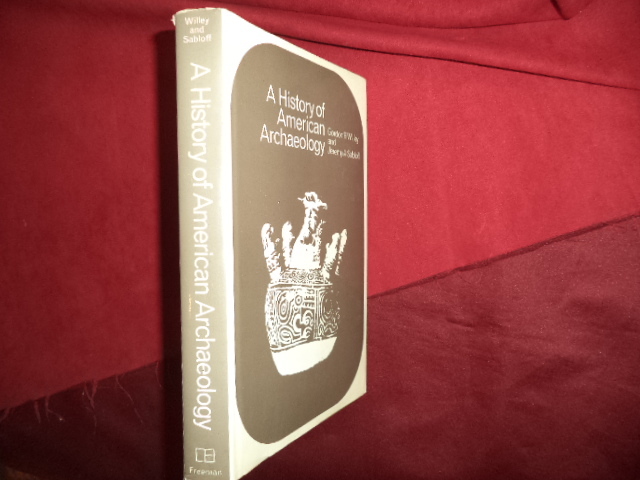 A History of American Archaeology. Photo available. New York. W.H. Freeman. c. 1974. 252 pps. Octavo. Hardcover. First edition. Illustrated. Important reference work. Scarce. Fine copy in fine dust jacket (in mylar). 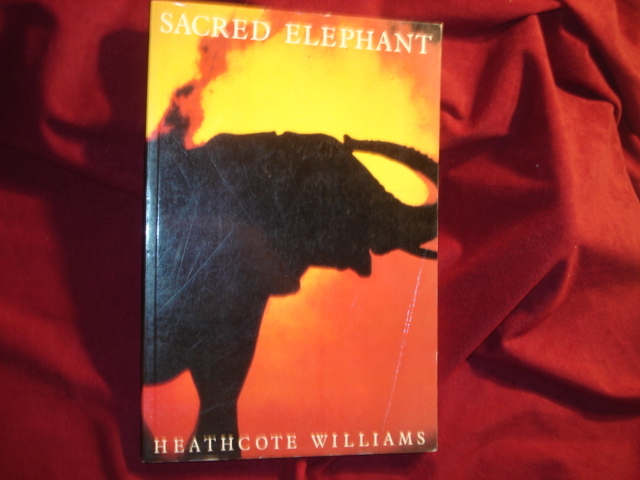 Williams, Heathcote. Sacred Elephant. Photo available. London. Jonathan Cape. 1989. 4to. Soft cover. First edition. Illustrated in black, white and color. Fine copy (very light crease on front panel).